My favourite week so far. I really enjoyed doing this one. 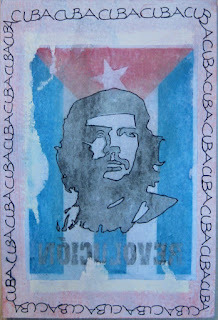 I chose Che Guevara as my inspiration for Cuba, watched The Motorcycle Diaries not long ago and really loved the film. 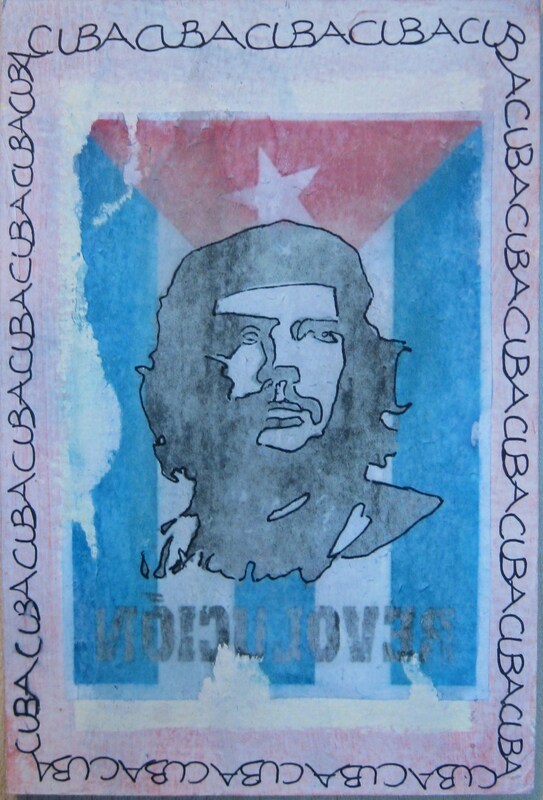 I learnt that I should reverse the image before I use it as an image transfer (if it has writing on it) - up the backwards revolution, lol. I really like the faded grungy look that it's created.